Apartments at Woolmers is ideally situated in the charming harbourside suburb of Sandy Bay, close to the excitement of Wrest point Casino and five minutes to historic Battery Point, Hobart CBD, Salamanca Market, Sullivan?s Cove, Wrest Point Casino and the highlights of southern Tasmania. Woolmers Inn offers 3.5 star spacious, modern studio, two bedroom villas and two bedroom heated apartments. The choice is yours - relax in your fully equipped apartment, or for a night off - Hobart's waterfront and restaurants are close by, and popular Wrest Point Casino is just minutes away. 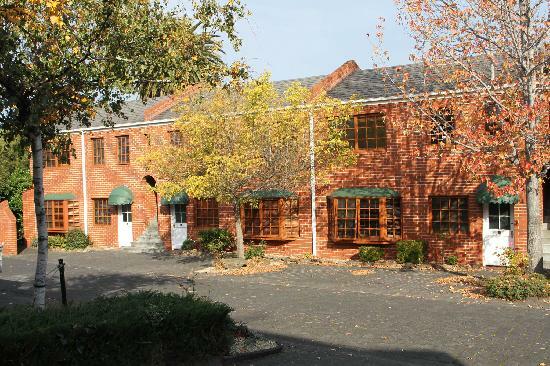 All types of travellers can take advantage of the discount accommodation at the Apartments at Woolmers, as well as the range of modern amenities including direct internet access, disabled facilities, free car parking, guest laundry, tour desk, garden, airport shuttle and babysitting service. Woolmers Inn gives you the flexibility to come and go as you wish, to make your visit to Hobart as stress free and as comfortable as possible. Corporate clients, family groups and couples will enjoy the great location the extra space afforded by the two-level design, and the thoughtful furnishings and fittings at Woolmers Inn. FREE off-street car parking ensures your maximum convenience and safety. Nearby Attractions : Woolmers Inn is an ideal location from which to enjoy the delights of southern Tasmania experience trips to Port Arthur, Tahune air walk in the Huon Valley, or travel to Russell Falls located in rainforest area. Just a short drive to Mt Wellington summit to enjoy panoramic views of city and harbour. Also enjoy Harbour cruises, Salamanca Market (Sat only) Cadbury chocolate factory, wineries and much more. Studio Double Apartment : Sleeps up to 2 guests on 1 Double Bed. Two Bedroom Apartment : Sleeps up to 4 guests on 1 Queen & 2 Single Beds. Two Bedroom Villa Apartment : Sleeps up to 4 guests on 1 Queen & 2 Single Beds.